Diabetes affects over 4 million people in the UK who need to follow the specific lifestyle regimes and medication. This Diabetes training course is for all healthcare professionals who deliver care or provide treatment to Diabetic patients. Why do you need the course? 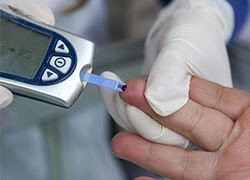 Medical understanding of Diabetes is continually improving. Refresher training is essential to keep up with the latest updates to the management and treatment of Diabetes. This face to face 4 hour course updates and refreshes students' skills and encourages them to interact with a range of other healthcare professionals. Delegates will engage in previously faced scenarios, explore best practice and relate the theory taught to their own working environment.